It is difficult to think of Winston Churchill, considered one of World War II's great leaders, as a green and untested Prime Minister, but that is exactly what he was on May 10, 1940, the day he took office. He didn't have to wait long for that first test, however. On the same day, Nazi Germany invaded Belgium, Holland and France. Churchill immediately realized that if, more likely when, the Germans controlled France, they would also control the French navy, second only in power in Europe to Britain's. 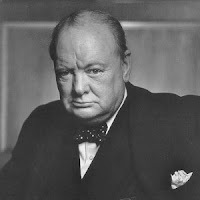 He also knew the combined power of Hitler's navy with the French fleet would most likely spell defeat for his country. Churchill immediately appealed to US President Franklin Roosevelt, a fellow Freemason and fellow navy man, for help. He warned Roosevelt if the Germans controlled the French fleet they would pose a serious threat to England, and if they defeated England they would control that navy and pose an even greater threat to the US. He asked Roosevelt for 50 of the older US destroyers to help bolster the British navy. In spite of what the two men had in common, President Roosevelt did not know Churchill and assumed the Nazis could roll over Britain as easily as they did France. He also had pledged to keep the US out of war. He flatly denied the request and subsequent requests Churchill made. On June 22, Germany took over most of France and Hitler ordered all French vessels to sail home. Although François Darlan, commander of the French navy, had vowed he would never surrender his fleet to Germany and would scuttle every ship in the event of a takeover, Churchill did not trust him and feared the Nazis' control of the French navy was imminent. His back against the wall, Churchill drew up a plan to secure the French navy, dubbed Operation Catapult. Churchill sent a fleet of ships to offer the French three options: They could 1) Sail all their ships into British ports 2) Sail their ships alongside British ships as part of an allied force 3) Send their entire navy to the West Indies or United States... and what if the French did not comply? Churchill knew he would have to make the most agonizing decision of his life: to launch a military attack on a country that was England’s ally and friend. The British navy's main fleet sailed to Mers-el-Kébir, a Mediterranean port near Oman, Algeria, where it intercepted the strongest part of the French fleet still moored there. Admiral James Somerville issued orders to mine the port to prevent escape and dispatched Captain Cedric Holland to board the French destroyer Dunkerque to deliver Churchill’s ultimatum to French Admiral Marcel-Bruno Gensoul. Admiral Darlan, meanwhile, received word of the crisis and dispatched French ships to Mers-el-Kébir for backup. Admiral Gensoul attempted to stall for time while the French ships approached but Somerville contacted Churchill with a full report. Churchill's reply was ominous and direct: "Settle matters." The French were sitting ducks. On July 3, 1940, at 5:54PM, Admiral Somerville ordered a broadside attack on the French fleet in the harbor. Ten minutes later, every French ship was disabled or destroyed. The attack killed 1,297 French sailors and wounded 350, a greater toll than France suffered during any campaign against the Germans. Two British sailors also died. French officials were livid. 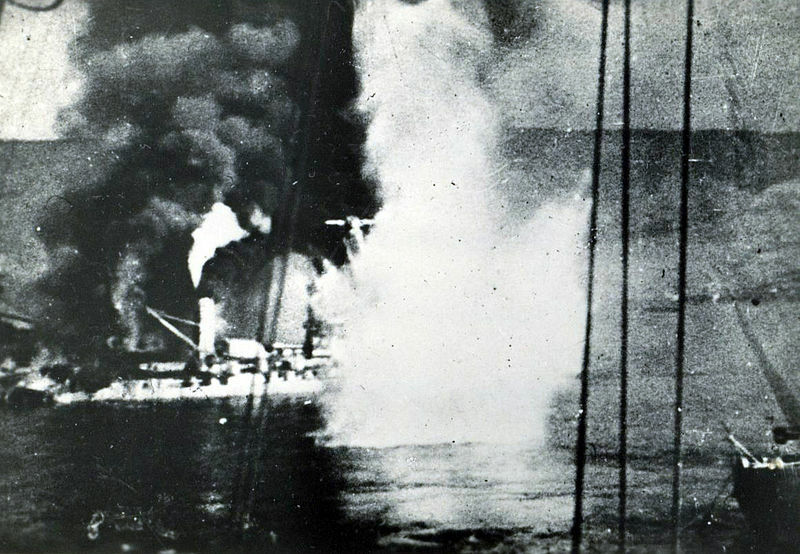 They attempted a weak retaliation on the British fleet at Gibraltar, but nothing came of it. Operation Catapult saw no additional incidents, as the British boarded French ships in other ports, or the French willingly sailed with them. France broke off diplomatic relations with England but in a strange and awkward relationship, the countries remained allies against the Germans during the war. Churchill was haunted by the decision he had made. He was certain he would be ostracized for attacking a friendly country, but when he reported his actions to Parliament, he was shocked to see the news received with wild cheering. As tragic as the incident was, he had likely saved many more British lives than the number lost by the French. As for President Roosevelt, there is some indication he knew what Churchill planned in advance of the action. Still, he was awestruck by Churchill's resolve and decisiveness. He responded by sending Churchill the 50 destroyers Churchill had requested. In the long run he came to realize the agonizing decision Churchill had to make prevented Hitler from dominating the seas. It isn't an exaggeration to conclude Operation Catapult ultimately was a major factor in the allied victory in World War II. Great story and illustration of hard decision making and that drive to make the best with what life throws at us. We should all stand for the good and betterment of ourselve, those around us, and in turn, the world. Thanks for sharing, brother!